AMD Ryzen Threadripper processors are the latest and fastest processors from AMD that are being launched recently. AMD Ryzen Threadripper lineup includes Ryzen Threadripper 1950X, Ryzen Threadripper 1920X and Ryzen Threadripper 1900X processors . These are among the fastest multi-core processors along with Intel Core i9 and Core i7 X series processors. According to AMD, Ryzen Threadripper are the fastest processors for a consumer desktop PC. AMD Ryzen Threadripper Processors packs a lot of power and are relatively cheaper than the competition i.e. Intel Core i9 and Intel Core i7 X series processors. They also offer advanced features and are great for building a top-end PC for gaming and professional work. AMD Ryzen Threadripper Processors uses a completely different Socket which is Socket TR4 with 4094 pins as opposed to the AM4 Socket used in AMD Ryzen 7, Ryzen 5 and Ryzen 3 processors. 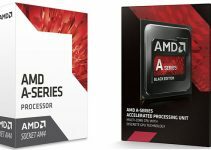 Also they support the new AMD chipset which is X399 chipset. This means you can only use X399 chipset Socket TR4 motherboards if you are planning on buying an AMD Ryzen Threadripper CPU. AMD Ryzen Threadripper Processors are built on the 14nm FinFET manufacturing process with the latest Zen architecture from AMD. Also all of them come unlocked which means you can overclock them to higher frequencies to get the maximum performance out of them. Here in this post I am going to list down the top AMD Ryzen Threadripper processors with their specifications and other details that you need to know about them. 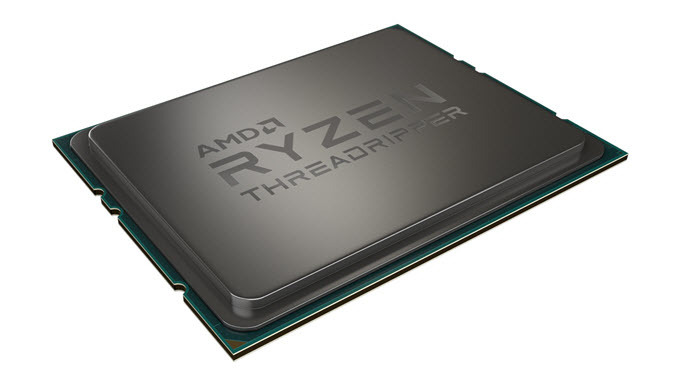 Note: AMD Ryzen Threadripper processors are pin-less processors (LGA Socket) which means you do not find any pins on the CPU but on the motherboard. Also they do not come with onboard or integrated graphics and you have to buy a dedicated graphics card for it. Here are the best AMD Ryzen Threadripper HEDT processors with their specifications and other important details about them. AMD Ryzen Threadripper 1950X is the fastest desktop processor from AMD and the flagship processor in the AMD Ryzen Threadripper family. This is a 16 core processor and can execute 32 threads for faster performance in multi-threaded applications. The processor comes with base clock speed of 3.4 GHz and Turbo speed of 4 GHz. It also features XFR (Extended Frequency Range) and can boost its frequency to further +200 MHz above Turbo in presence of better cooling. The processor has got total cache of 40MB (32MB L3 + 8MB L2). The processor supports 64 PCIe lanes, 60 lanes for high-end graphics card and 4 lanes for super fast NVMe PCIe Solid State Drives. In terms of pricing, AMD Ryzen Threadripper 1950X is in the direct competition to the Intel Core i9-7900X which is also priced at $999. But if we compare the performance of both these processors then the Ryzen Threadripper 1950X is much better than the Intel Core i9-7900X because Core i9-7900X is only a 10 core processor. If we compare core to core then Ryzen Threadripper 1950X should be put against the Intel Core i9-7960X which is also a 16-core processor but it costs almost double of Ryzen Threadripper 1950X. The only thing that is against the AMD Ryzen Threadripper 1950X is its slightly higher power consumption at 180W TDP compared to 140W of Intel Core i9-7900X and 165W of Intel the Core i9-7960X. 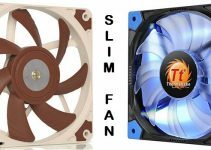 But if we loot at overall then AMD Ryzen Threadripper 1950X offers excellent performance for the money and is definitely the choice for anyone building a high-end gaming PC or a high-performance PC. AMD Ryzen Threadripper 1920X is the second fastest processors in Ryzen Threadripper lineup. This is a 12 core processor and can support 24 threads in multi-threading applications, programs or games. It has got base frequency of 3.5 GHz and precision boost of 4 GHz in turbo mode. This AMD Threadripper processor comes with combined cache of 38MB (32MB L3 + 6MB L2), XFR technology and support 64 PCI-Express lanes (60 GPU + 4 NVMe SSD). The competition i.e. Intel Core i9-7920X which is also a 12-core/24 threads processor costs about $1199 which is way more expensive than the Ryzen Threadripper 1920X which is priced very attractively at $799. Ryzen Threadripper 1920X has higher power consumption at 180W TDP which is more than the 140W of the Intel Core i9-7920X. Again Ryzen Threadripper 1920X is a better buy because of far better pricing and has good overclocking potential. When paired with a high-end graphics card, this processor can really provide some astonishing results in latest AAA games. 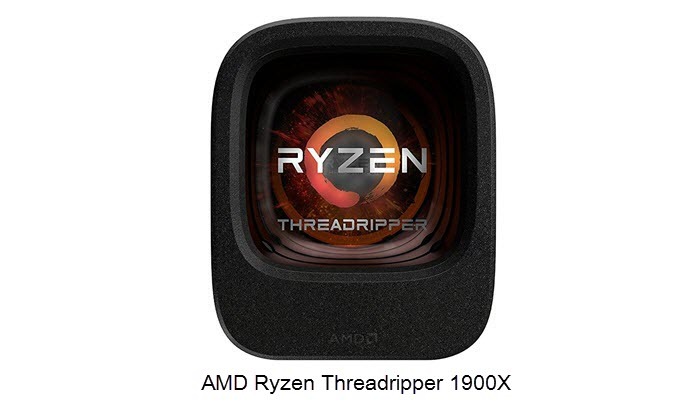 Ryzen Threadripper 1900X is the most affordable processor in the AMD Ryzen Threadripper lineup. This is an Octa-core processor and comes with 16MB cache (L3). It physical has only 8 cores but can almost double its performance as it can execute 16 threads simultaneously in multi-threading applications and softwares. The processor has got base clock speed of 3.8 GHz and turbo speed of 4 GHz. It comes with total of 20MB cache (16MB L3 + 4MB L2) and XFR with up to +200 MHz and also support 64 PCIe lanes. The 8 core processor from Intel that we can compare to AMD Ryzen Threadripper 1900X is Intel Core i7-7820X, which is a Skylake-X 6th generation Core X processor and uses LGA 2066 Socket. Intel Core i7-7820X is built on the 14nm process and has got 11MB L3 cache. 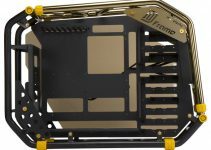 It is priced at around $599 which a bit more than the Ryzen Threadripper 1900X that has a price tag of $549. The power consumption of Ryzen Threadripper 1900X is lower at 125W TPD as compared to 140W of Intel Core i7-7820X. Also Ryzen Threadripper 1900X comes with 64 PCI Express Lanes while there are only 28 PCIe lanes present in the Intel Core i7-7820X. This can make a significant impact in gaming and other graphics intensive applications. So again, I think Ryzen Threadripper 1900X is a much better product especially for a mid-range gaming PC.